It’s fun to unwind by watching TV shows or movies, especially in the cold winter months. A subscription to a service like Netflix, Hulu Plus, or Amazon Prime will give your loved one access to a significant number of movies, documentaries, TV shows, and more. (Amazon Prime, for example, also comes with free two-day shipping on all Prime purchases. Nice!) Even if someone already has this service, a paid extension would likely be more than welcome. Sure, we’re a little biased, but tickets to an event really are a great last-minute gift. Get your family or friends tickets to their favorite performer (Beyonce? T-Swift? ), to see their favorite sports team (Red Sox or Yankees, maybe? ), or to attend a show live (Disney’s Aladdin is a fan favorite!). You look like a hero because you bought a fantastic gift, we give you an awesome Gift Note letting your loved one know how awesome you are, and they have something to open on Christmas. It’s a win for everyone! We have a selection of gift ideas in sports, concerts, and theater or you can go ahead and purchase tickets to whichever live event you want. If all else fails, pick up a nice bottle of wine, stick a bow on it, and call it a day. 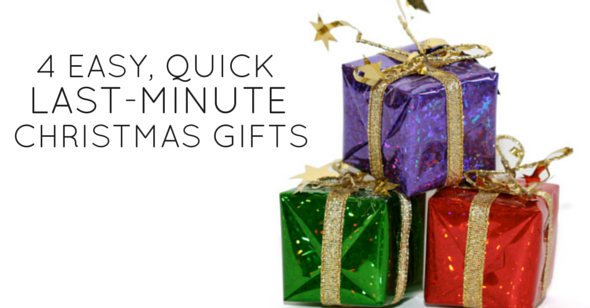 Do you have any go-to last-minute gift suggestions?